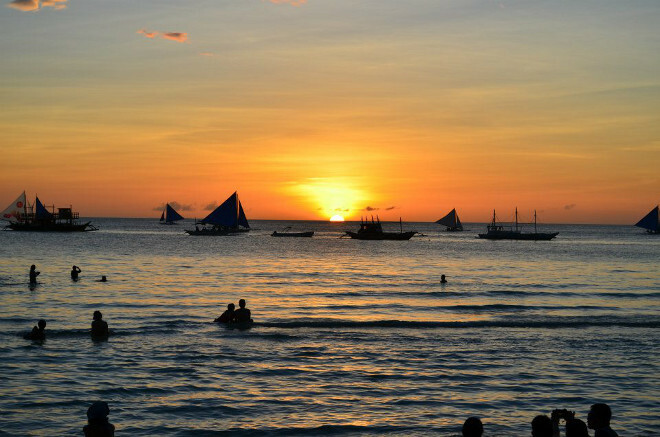 Travel tips: If you want your marriage to last forever go to the Philippines (divorce is illegal). 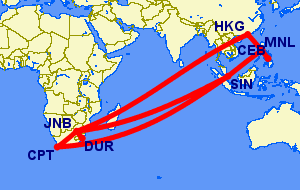 There are no direct flights from South Africa to the Philippines. You'd fly 1-stop to either Cebu or Manila. Use the flight price comparison tool on the left to book the cheapest flight deal, and then use SouthAfrica.TO discount vouchers to further reduce flight prices! If you've got no discount vouchers then start earning them with your flight to the Philippines - simply email us a writuep of your trip and we'll send you some vouchers. 9 Nov 2013. A super typhoon hits the Philippines, resulting in a death toll of some 10,000; and people being stranded on Boracay Island. 1 Oct 2013. Emirates launches flights to Clark International which is 80km north of Manila, in Angeles. 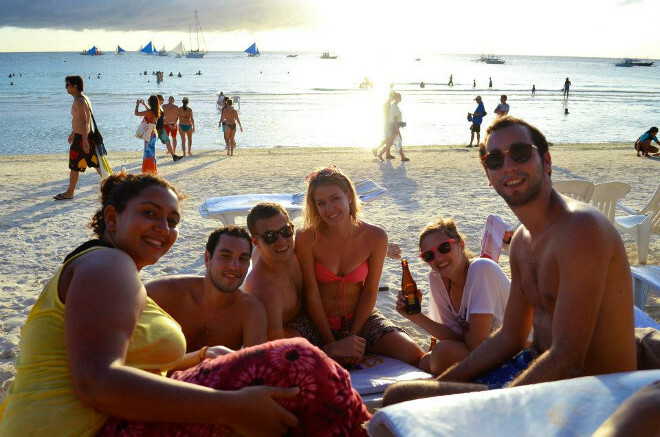 On 1 August 2013 the Philippines increased the period of visa-free travel from 21 to 30 days. So, South African citizens do not require a visa to enter the Philippines provided that their stay does not exceed 30 days, that proof of a return ticket can be provided, and that your passport is valid for at least six months after return (if you've only got a temporary passport, you'll still need to apply for a visa). For the latest up to date requirements, visit the website of the Embassy of Philippines or contact them at 012-346-0451/2 or Pretoria.pe@dfa.gov.ph. Their physical address in South Africa is 54 Nicolson Street, Muckleneuk, Pretoria. Note that the embassy is closed on Philippine public holidays. The Visayas are where divers and beach lovers can find their mecca. This collection of islands offers picture-perfect palm-lined white beaches and sky-blue waters. Cebu offers a taste of cosmopolitan city life while Boracay is the popular beach resort area. For those wishing to ditch the usual path, islands such as Panglao and Negros offer a laid-back lifestyle and deserted beaches. It’s easy to find transportation to navigate the many islands, some of which are only known to locals. North Luzon is a nature-lover’s paradise. Its misty green hills, remote sandy beaches, plains, and rice terraces host a diverse population, some of which still live as they have for centuries. Adventure seekers can go trekking, caving, white water rafting, surfing, and more. Relaxation can be found in the Spanish colonial town of Vigan. Palawan is the best place to experience the Philippines’ diverse seascapes and aquatic life. Puerto Princesa is the logical first stop to experience the country’s rich culinary tradition. Go north for endless deserted coastline, great diving and snorkeling opportunities, and tourist infrastructure. A trip south will land you in jungle, mountains and more rustic settings. Manila is the country’s sprawling capital. It can be hard to navigate as it has no true center so focus in on areas of interest. Binondo and Quiapo have lots of energy and exciting markets. Intramuros will give you a taste of Manila’s past. Makati is modern Manila incarnate—it boasts fine shops, restaurants, and other amenities as well as a pleasant mix of tourists and locals. 1-stop flights are available from Emirates or Qatar Airways. The only 1-stop flights are with Emirates. 1-stop flights are available with Etihad, Singapore Airlines, Emirates, Cathay Pacific, SAA (codeshare), Thai Airways or Qatar Airways. 1-stop flights are available with Singapore Airlines (codeshare). 1-stop flights are available from Cathay Pacific, SAA (codeshare) or Singapore Airlines (codeshare). Our readers are our writers! Email us a writeup of your flight to and holiday in the Philippines, and we'll send you a travel voucher. As a South African used to being outdoors a lot, having barbecues on the 'stoep' and never really feeling the need to take out that warm jacket from the back of the closet, the past winter teaching English in South Korea has been quite the challenge, with temperatures dropping to below zero and freezing winds that chills you to the bone. Naturally, for our winter vacation over New Years (8 days), me and my two friends wanted to go defrost at the most tropical place possible, where palm trees and sandy white beaches await us. We heard from friends and fellow teachers about a gem hidden in the Philippine islands, a small island called Boracay. It has won many awards from travel publications and agencies, among others being named as the 'best island in the world' by the international travel magazine, Travel and Leisure. Apparently it had great beaches, water sports a teeming night life and was very cheap. We were convinced. (And not quite cured from the student mentality, especially swayed by that last part I might add). We flew with Cebu Pacific Air, an international budget Philippines airline. The first leg was from Busan to Manila, where we had a layover until early the next morning. We decided to take the cue from fellow travellers and just camp out in the airport, sleeping like bums on the floor. Quite ironically, the next morning when we woke up all ruffled and tuffled and looking attractive, we realised we were in the wrong terminal, an hour before departure. Getting outside, we got into the first taxi to take us to the airport. Halfway there, we realised that in the rush we misunderstood the fee he charged us and that it was per person, not for the whole trip. We had to learn our first two lessons. Don't be late and don't be suckers! A little poorer and a little mad at ourselves for being such rookie travelers so early on, we got on the domestic flight to Kalibo. The view over the beautiful landscape quickly dissolved our moods and the excitement started to build up. Stepping off the airplane into the warm island air was incredible, I could already feel my skin thanking me. We took a shuttle to the ferry port, from where we would jump on the ferry to Boracay. Just two days before we arrived, there was a big typhoon, so the town and surrounding villages were covered in a brown mass of water. It was like riding through a river, with tuk-tuks (rickshaws) and the occasional cyclist passing by, no car in sight. It was quite the contrast from Korea, where the the average income and living conditions of the middle class is fairly high; we were in poor country now. It felt a little bit like home. The ferry ride to Boracay was surprisingly quick. At this point we couldn't contain our excitement anymore. When we stepped off into the port and walked up the bridge to the mainland, we looked down to see of the water was as clear as we imagined. It was. We took a tuk-tuk to our guest house and arrived shortly after. The guest house is part of a little village of guest houses, all built in the same fashion and made from bamboo and other natural materials, fittingly island style. Our room was on the fourth floor with a balcony that overlooks some of the island greenery and the sea. The island is only 7km long and dogbone shaped, consisting of four 'stations', the first three on the main part containing the swimming beaches and entertainment areas, the fourth one on the more windy side of the island, the beach most popular for windsurfing. We stayed at station 3, but it didn't actually matter where you stay, as everything is just a short walk away. On our first morning we met up with friends also teaching in Korea and went cliff diving, a popular day activity on the island and one of the highlights of our trip. We decided to get our own boat, instead of waiting for the main one, as there are tons of people waiting on the beach to take you. We haggled a bit for a good price, which is seen as an acceptable practice, and then hopped on. Having taken our own boat, we got there before anyone else arrived yet, so we had time to explore. 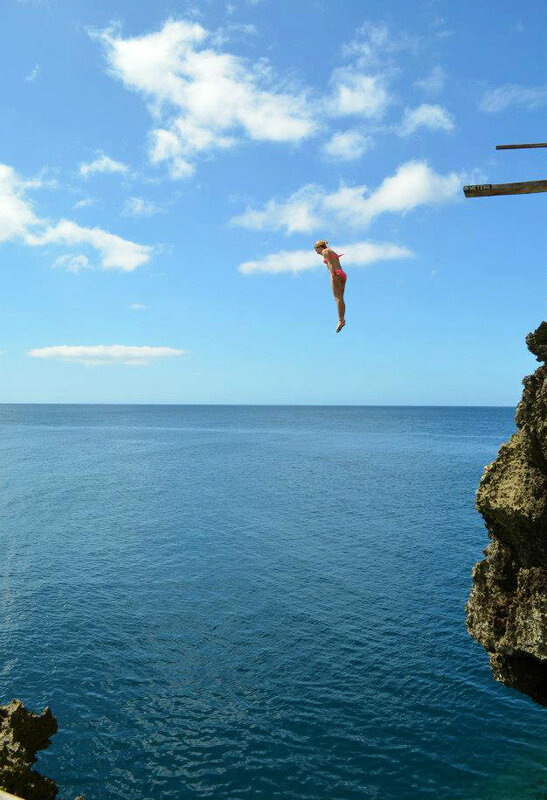 The spot for the cliff diving was really beautiful with different heights you can jump from, ranging from 8 - 20m. 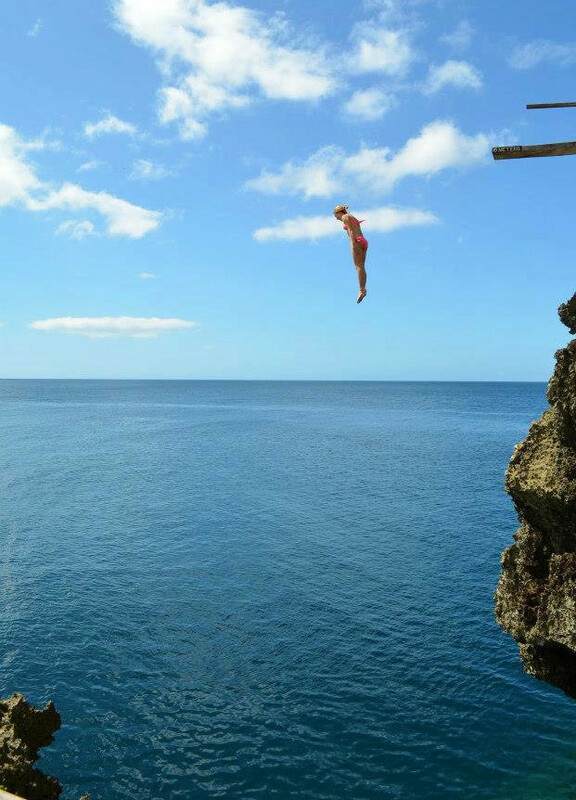 We decided to take the plunge and just go jump from the highest one first. It was a great adrenaline rush! Soon the main boat arrived and things got a little crazy, we were drinking and jumping more and faster and not at all being very responsible. After a day of fun and being terribly sunburned, we happily passed out on the beach back in Boracay. The rest of the trip was the perfect mix of fun and relaxation, exactly what we were looking for. We went parasailing, snorkeling, diving and spent the rest of our days swimming and relaxing, drinking a copious amount of fruity drinks, getting manicures and massages from the ladies on the beach constantly calling out "Massage Maaam". I couldn't resist getting my hair braided, even though it was too short to really last and looked a little ridiculous. I bought a sarong and basically spent the holiday in my bikini, with my camera as my only accessory (and maybe a bag of fresh mangoes). We couldn't get enough sunset, sailing boat and palm tree pictures, which of course decorated our desktop backgrounds and Facebook profiles for the weeks to follow. Everyhing on the island was cheap: you could buy sunglasses, a shirt, hat and flip flops and still have money left for a decent all-you-can-eat buffet. At night we had dinner on the beach, most restaurants offering a buffet deal with an assortment of dishes, local and international cuisine. As full-blooded South-Africans, we mostly opted for the meat-lover's options, where theres an abundance of beef, pork and chicken (in Korea we have enough seafood). Our favourite place had low-seated tables with pillows you can sit on in the sand. Add the smoke of a hookah pipe that drifts around in the air, local music and the sound of waves crashing only a few metres away and you have the perfect summer night. We felt very lucky. We made some interesting Morrocan friends from Casablanca, currently studying in Paris, who shared some of their traveling experiences, tips and insights. We had New Years eve dinner at their hotel and then joined everyone for a party on the beach and a midnight swim. There's an energy in warm, island water at night. You feel like you belong, like you're safe, like you can transform into a sea creature and live here forever. Though we didn't jampack our days with activities, the time flew, and when we stepped on the ferry and later the plane to head back, for a brief moment it felt like it was a dream or something that happened in the movies. Especially after arriving in a snow-covered Korea, everything seemed a little surreal. But it was an incredible breakaway and unique island experience I'll never forget. 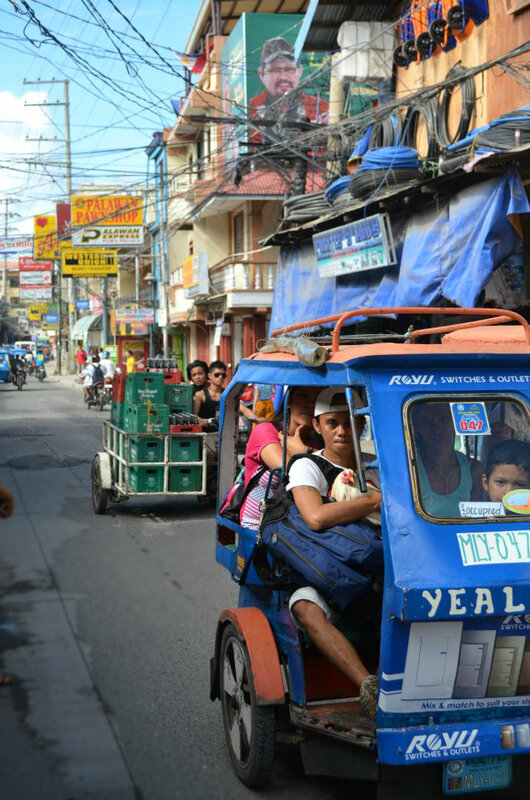 English is an official language of the Philippines (along with Filipino). The currency used in the Philippines is the Philippine Peso. English and Filipino are the official languages of the Philippines. While English is the language of government and some print publications, Filipino is much more common. The blissful weather in the Philippines makes year-round travel possible, though you may want to avoid the Easter and New Year’s seasons when prices can skyrocket. Typhoon season from June to early December brings tropical storms. High season is generally from January to May when the weather is fairest. Those who don’t mind a few showers can find lower accommodation prices between June and September.